The saying goes that in space, no one can hear you scream. That may or may not be true, but the idea is that there are terrors out there we're no equipped to handle. After Reset: The Fall of Gyes from Black Cloud Studios looks at a different kind of terror that's rooted in the same unknowns. The issue is written by Richard Nixon and Jeremy Wilfinger, illustrated by Adam Burn and lettered by Peter Cooper. It is here that our story takes place, in the outpost called: Gyes. A 20-year-old intern of the United Government’s Military Corps has just completed his last year of training. Everything seems to be falling into place for him. The job, the girlfriend, a place of prominence in his own corner of the world. Then They came. Surface dwellers. Killers. Thieves. It seemed impossible. How could anyone on the surface have survived the Reset? Yet there they were. With Gyes defenses sabotaged, its containment units failing, biological samples that were once secured in a deep freeze are now exposed to open air… and everything falls apart. Surrounded on all sides by Stalkers, biomass horrors and a collapsing structure, will this young, wet-behind-the-ears intern survive? Could anyone? For much of After Reset: The Fall of Gyes, the action feels frenetic. Nixon and Wilfinger do a good job of keeping things moving very quickly and getting the reader caught up in the panic of the moment. The thing is, the build-up is so frenetic that there's really no time for storytelling and the plot feels a little incomplete. Creating a tense atmosphere, Nixon and Wilfinger rely on the intrusion of alien creatures ravaging the outpost, but they don't really do much to explain why they're doing that or what they actually are. There's also a scene that feels a little erratic where a doctor finds time to do blood tests--that in and of itself isn't too crazy, but considering the gravity of the situation they're faced with it feels a little too convenient. The artwork in After Reset: The Fall of Gyes relies on being photorealistic. In that sense, Burn does a fantastic job, giving the characters more heft and physical weight. The lifelike quality of the artwork makes the book easy to follow and the environments reflect an appropriate level of futurism. Renderings of the aliens are pretty terrifying and Burn doesn't pull any punches in presenting them as such. The colors are largely darker and contribute to the moody setting of the outpost and the chaos within. After Reset: The Fall of Gyes doesn't rely on a new premise, but it does tap into familiar territory well. The plot moves along relatively briskly and doesn't really give the reader any chance to catch their breath. Nixon and Wilfinger draw upon familiar stories to recount their own tale of survival horror. Burn's illustrations are rich and contribute greatly to the overall narrative. 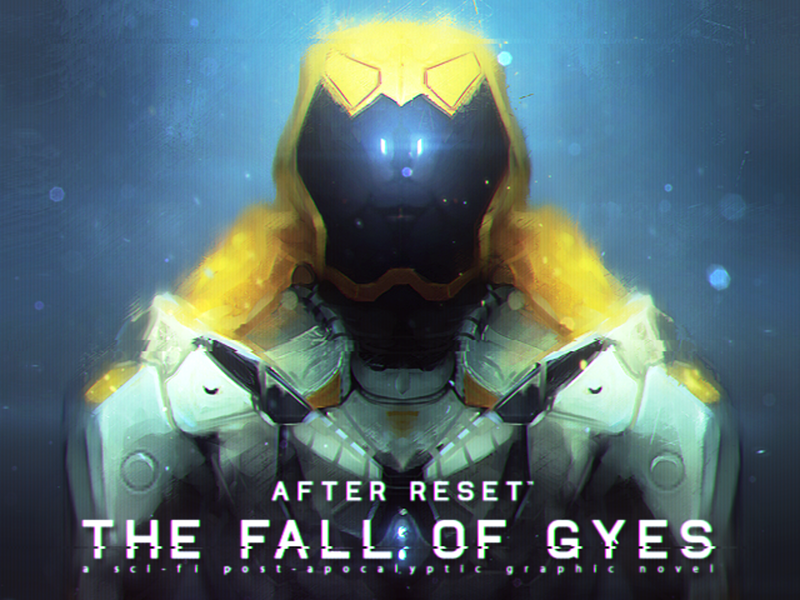 Fans of franchises like Dead Space will definitely want to give After Reset: The Fall of Gyes a read. After Reset: The Fall of Gyes is available now.